Diversity and subsequently, Inclusion is an important tool to be employed in fostering the cooperation and integration of those who come from underrepresented classes in society. 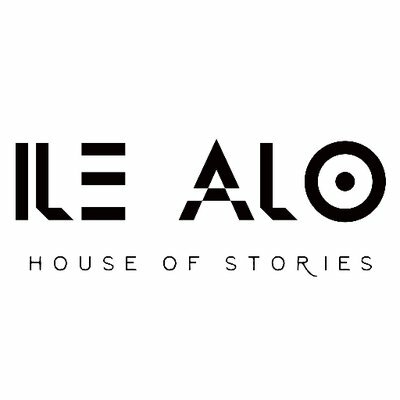 It is with this goal in mind that Ile Alo (Home of Stories) a new website seeking to empower writers from the underrepresented black community was established. Founder, Erin Abraham recently spoke to us. On the rationale behind setting up the website, a gap year spent in Nigeria proved the trigger. I spent my year off after graduation in 2014, at home in Nigeria. As you can imagine I had far too much free time and began toying with the idea of putting some of the fiction I had written online. I had no idea where to start. So, I began the classic millennial endeavour of ‘stalking’ other writers in my position to see what they were doing with their writing online. I discovered that the internet was literally brimming with brilliant short stories, written by young and very talented writers of African descent. I was completely captured by some of the stories I read. They took me to places I could never have reached otherwise and opened my mind to the very different life experiences of others. It confirmed for me that what it means to be African, what it means to be of the diaspora, what it means to be black is so beautifully multi-layered and textured. Stories are an incredible way to capture and convey the diversity of African perspectives, experiences and ideas out there. I wanted to create a space where storytellers from across Africa and the diaspora could come and showcase their stories. But I didn’t want it to be like any other platform for sharing stories, because there are many out there. Firstly, I wanted storytellers of African descent to feel completely free to share their stories, within a community created specifically with them in mind. Secondly, it was important to me that our storytellers could be confident that their stories would be read by a readymade audience from all over the globe – their stories would contribute to a shift in perspectives. We’ve made it super easy – hit www.ilealo.com. Anyone can explore the stories on the platform and learn more about the storytellers. There is already a lot of brilliant content available, from talented storytellers, writing from all over the world. If you want to publish your own writing too, you absolutely can. All you need to do is register and click the “write a story” button. Our aim is to publish as many stories as possible, but we have included a very short approval process for uploads to ensure that Ilé Alo remains a community we can all be proud of.